Our classic port caps for GL-45 and GL-38 glass bottles, as well as for Nalgene 38-430 plastic bottles, have 1/4-28 threaded ports in a PTFE insert, with expanded PTFE gaskets. Each port has a through-hole for 1/8" OD tubing, machined at a 10 degree angle. 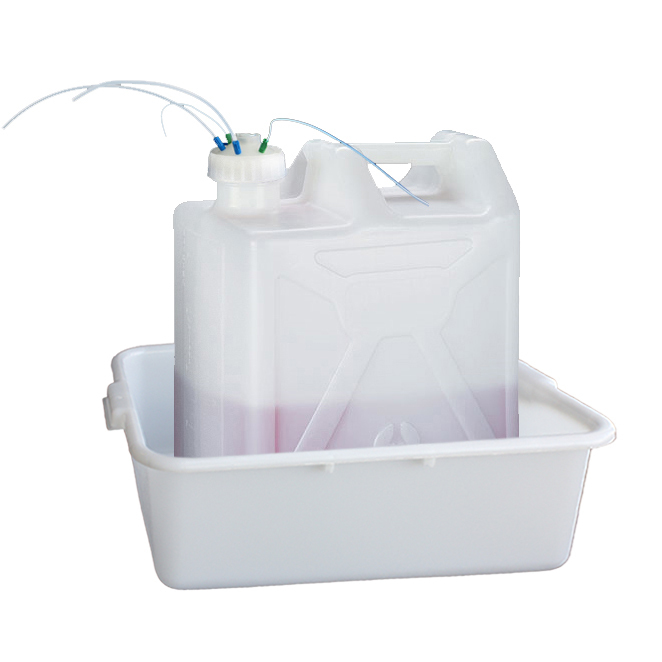 Push tubing through the cap using an AQ-Series adapter to supply and close your system. Larger carboy port caps feature additional 1/4" and 1/2" NPT holes. These caps are the safety solution for scientists, chemical hygienists, and researchers worldwide, to ensure proper delivery and waste containment of chemicals and solvents. Our closed system capabilities reduce harmful emissions which are potentially hazardous to employees and our environment.